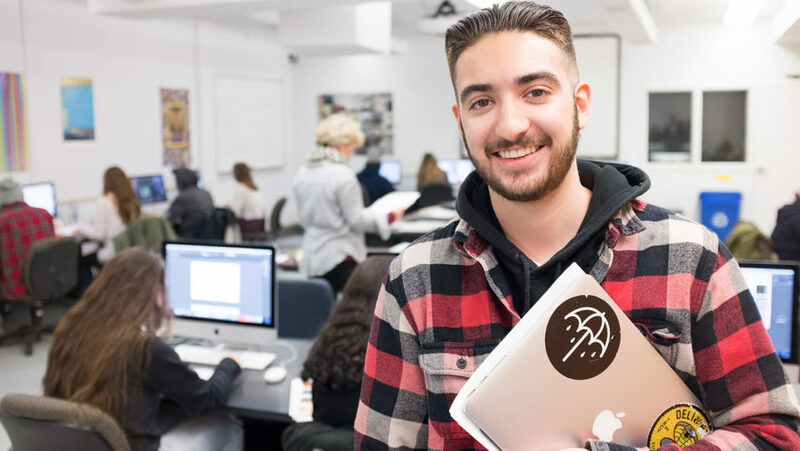 Choosing a college for art and design can be an overwhelming process, but there are certain questions every art major should ask before they enroll in a graphic design or studio art program. Is the institution accredited by the National Association of Schools in Art and Design, the only accrediting body for art departments? Accreditation allows college programs to continue by determining the programs meet or exceed standards of quality set by the accrediting body. 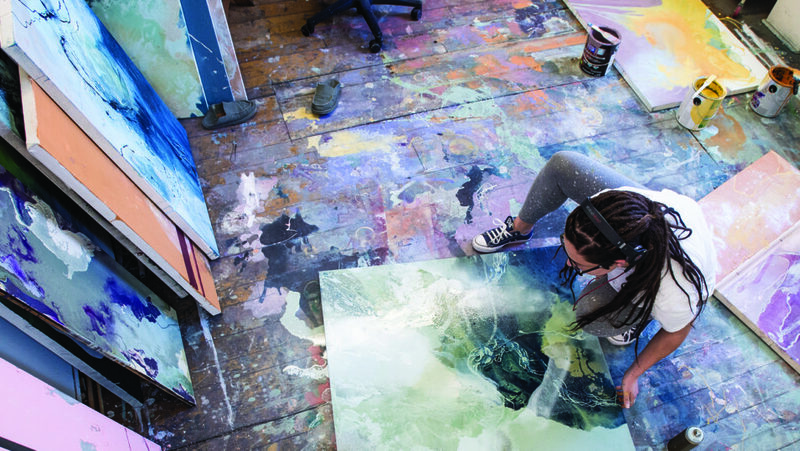 The College of Saint Rose’s Center for Art & Design provides a more universal experience to students through their professional degree programs, accredited by NASAD. They take the professionalism of independent art schools and combine it with liberal education courses, which provide inspiration for your work. With a B.F.A. offered in graphic design and in studio art along with a Bachelor of Science in studio art, the Center for Art & Design works on the whole person, rather than just the artist. How close is the campus to New York City, a hub of artists and critics? With breathtaking sights, fashion, business, and art-worthy locations, proximity to New York City is important for many aspiring artists. The 2 1/2-hour trip from Albany, New York, to New York City is a smooth ride down highway or easy trip on the train. In addition to bringing students to New York City on class trips, faculty members at the Center for Art & Design at Saint Rose have the ability to host some of New York’s finest artists and critics in their classroom. Does the college you are applying to have accessible internship opportunities? Internships, in any major, provide the student with real-life, in-the-field experience for their resume and for conversation during interviews. One hundred percent of The College of Saint Rose Center for Art & Design students graduate having held an internship. Many art and design students gain internship experience during the summer between their junior and senior year, either with a local artist, design firm, or through relationships with a museum. How many other students will be in the classroom when you are trying to absorb information from your professor? Will you be fighting with graduate students for attention? Learning in a classroom setting can be tough when an undergraduate student has to push their way through hundreds of students to gain the brief attention of the professor. The College of Saint Rose prides itself on a 14:1 student-to-faculty ratio. Additionally, the Center for Art & Design focuses all of its attention on undergraduate students, as they don’t run graduate degree programs. This means that all time, grant money, effort, and attention is given directly to undergraduate students. Is there a studio space to work in and leave your projects in? Is that studio space accessible outside of class time? When working on projects on any size scale, it is important for students to have room to work on and store pieces of work other than cramming it all into a shared dorm room. Picotte Hall offers 33,000 square feet of studio space for students to learn, work, and store artwork. Located on State Street in downtown Albany, New York, shuttle busses bring students to and from the building, which stays open for student usage until 11:45 p.m. each weeknight. Students are given their own workspaces each semester and flat drawers or storage spaces to hold their work. Does the art and design program expose you to all dimensions of art? When becoming an artist, like any other profession, it is vital to gain knowledge in multiple aspects of the industry to have a wide variety of inspiration to pull from. In your first year at the Center for Art & Design, you will be exposed to and take classes in a variety of forms of art. Some of the classes offered in the first year include, but are not limited to, Introduction to Art and Design, Two-dimensional Drawing, Drawing 1, Introduction to Photoshop Imaging, Painting 1, Sculpture 1, Screen Printing 1, and Photography 1. These classes are designed for students to explore different facets of art and design, which in turn, better the complete artist. Are there places for art to be exhibited on campus? Many students enjoy the opportunity to view and display artwork around their campus rather than just in the art school building. 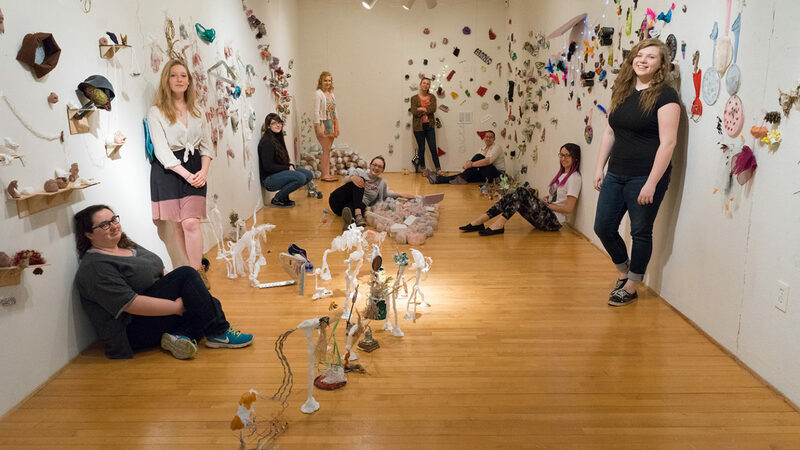 The Massry Center for the Arts houses the Esther Massry Gallery, an art gallery that displays a variety of shows throughout the year, from regional artists, to faculty, to alumni, and even student pieces. Admission to the gallery is free. Art is also located throughout the building for viewing when the gallery isn’t open. Want to learn more about art and design at Saint Rose? Contact us at admit@strose.edu or visit our Center for Art & Design on the web. ← Cybersecurity 101, Part 4: Do You Know Who’s Following You?